We transport pharmaceutical products, according to the European safety measures. We transport meat fresh and/or frozen, with the same truck, thanks to our bi-chamber refrigerated trailers. We transport fruit and vegetable, fresh and/or frozen. We transport alcohol and tobacco, respecting the European safety regulations. We transport dairy products (yoghurt, cheese and processed milk) on pallets, at controlled temperature. 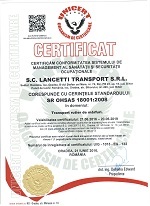 We transport hazardous materials, in a controlled environment, according to the European safety regulations. Lancetti specializes in international road freight transport. 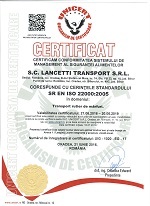 Lancetti Transport was established in 2005 in Oradea and over the years our company has grown constantly. The founders were aware that to become a competitive player in international land transport the company must have an image that reflects their projects and aspirations. From the beginning, through efficiency and the quality of our services we have built strong business partnerships with all the companies we work with. We operate in international land transport and our objective is to have elegant, efficient and fast deliveries to satisfy our client's needs. The countries that our trucks have loading/unloading places are: Holland, Belgium, Denmark, Germany, Bulgaria, Spain, Poland, Sweden, Czech Republic, Austria, Hungary, Slovakia, Great Britain, Greece, Northern France. We operate in international land transport and our objective is to have elegant, efficient and fast deliveries to satisfy our client's needs. The countries that our trucks have loading/unloading places are: Holland, Belgium, Denmark, Germany, Bulgaria, Spain, Poland, Sweden, Czech Republic, Austria, Hungary, Slovakia, Great Britain, Greece, Northern France. 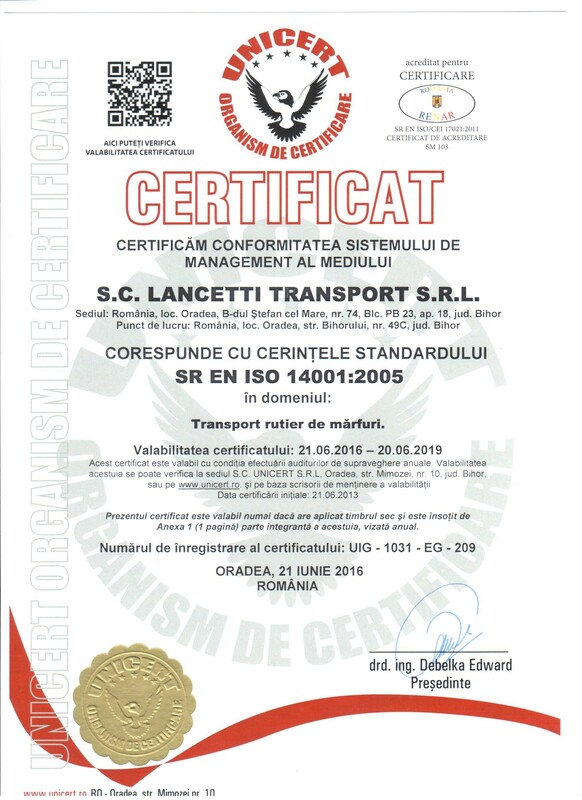 We have a fleet of 105 refrigerated trucks, and more than 20 tilt trucks, 22 tons each, that are based in Romania. Our trucks have GPS tracking to have a transparency that benefits our clients. Our company places great emphasis on having environment friendly operations, so we are constantly investing in fleet renewal. All our trucks are Euro5 and Euro6, in line with the European environmental standards. 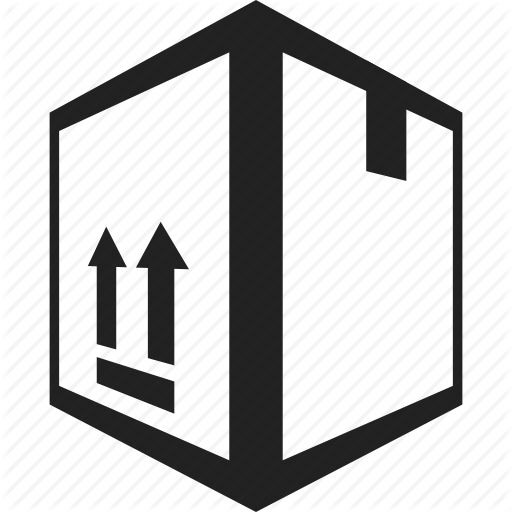 Moreover, we carefully choose the most efficent and fastest routes to deliver merchandise to our customers. Delivery dates and times are essential in our field of expertise. For this reason, we need to be on time and respect delivery deadlines. We do this by using professional employees in logistics and freight forwarding, but also our entire fleet is GPS monitored. 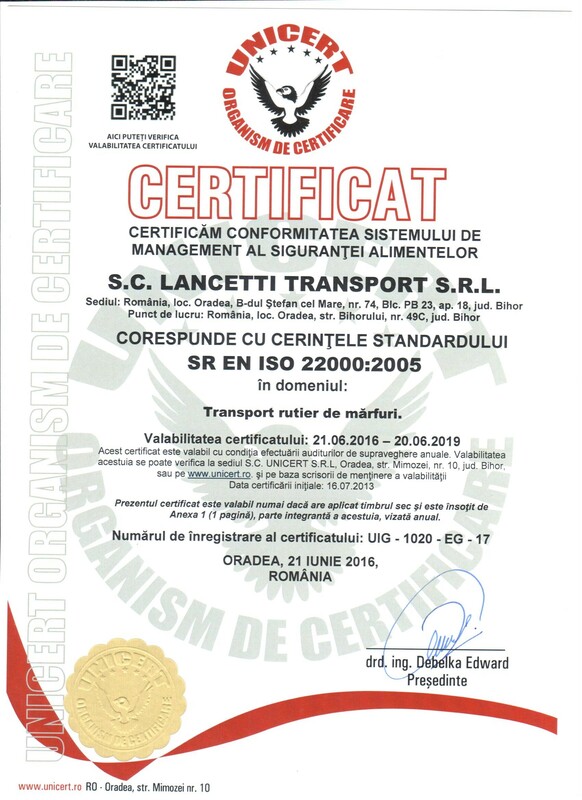 We specialize in transporting food: hauling fruit and vegetables, meat, fish and seafood, dairy, hazardous (ADR) materials and goods, in a controlled temperature environment, drugs, tobacco, alcohol, plants and flowers. 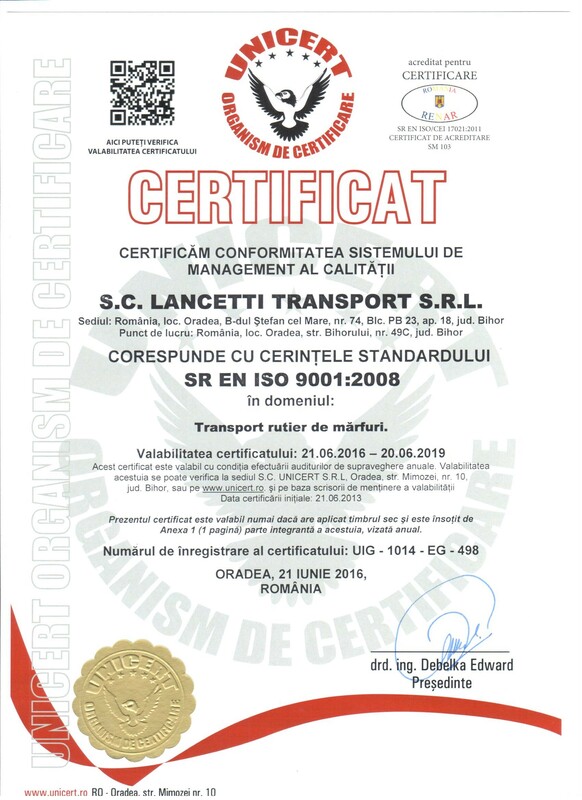 We provide high level services in accordance with ISO 9001: 2008 quality management system that we implemented and certified. Your goods and products are always safe with us. Due to steady investment in the equipment of our fleet, but also through the professionalism of our drivers, the cargo is always safe in our trucks. 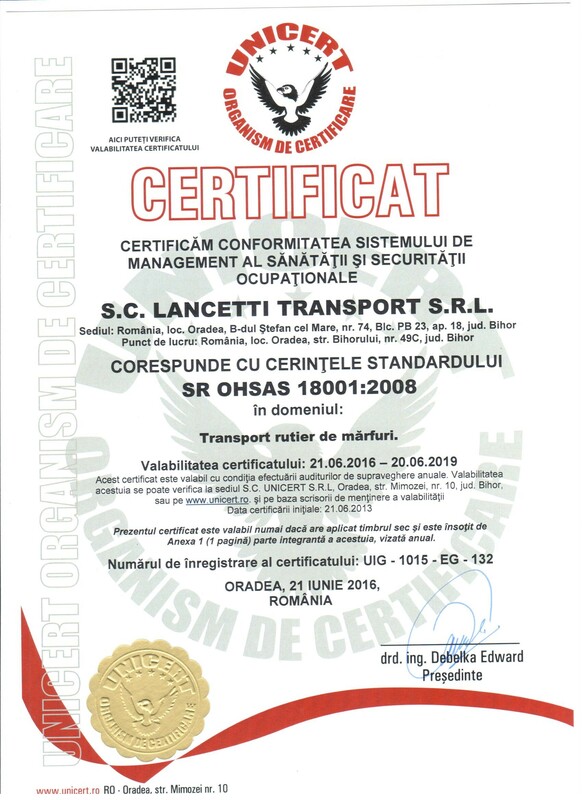 Most of our drivers are ADR certified to drive trucks that can deliver dangerous goods, thus they have special qualifications that are periodically verified. All the trucks are tracked by satellite, both to increase transparency for the customer, but also to be effective in finding alternative routes in case of unplanned events (traffic jams). Standard refrigerated (33 pallets), standard trailers for general cargo (34 pallets) and megatrailers. Our vehicules transport food and non-food products. Our trucks meet all the conditions regarding the transport requirement of each type of goods/products. We respect the environment, this is the reason we constantly invest in buying new truck and trailers, with the lowest CO2 emission (Euro6).